At StorQuest in Aurora, CO, we understand that it can be difficult to find time for moving in your busy schedule. 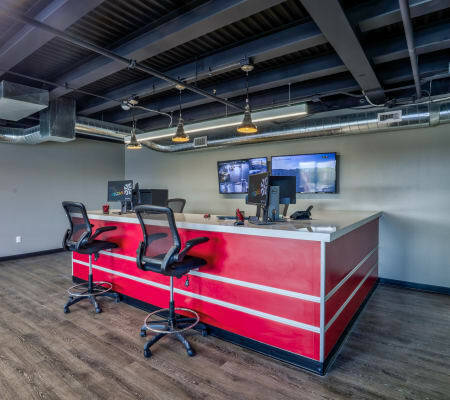 At our brand new facility, we offer access 7 days a week and equip you with a variety of convenient features to get you in, out, and onto your next adventure. When the warm months roll around, back your truck up to our ground-level storage units and swap your skis for your kayak with ease. And with month-to-month rentals available, you never have to commit to a storage unit longer than you need it. At StorQuest, we want you to spend less time moving and more time living your best life. With electronic gate access 7 days a week from 6 AM - 10 PM, you can get your moving done on your time. If you prefer to move during the cool evenings, our well-lit facility makes it easy for you to get it done. To help ensure you’re always ready for life’s next adventure, we offer convenient online bill pay, so you never have to worry about missing a payment or rushing to drop off a check. Come see for yourself how StorQuest can enhance your life. Get in touch with our professional team to secure your storage unit today.